Venues cancelling bookings at the last minute, wedding dresses not arriving on time, guests coming down with food poisoning and photographers disappearing without a trace. These were just a few of the wedding complaints reported last year, but there are ways of avoiding the pitfalls advises Consumer Direct West Midlands. 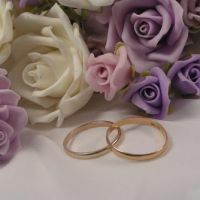 Last year 2007, the government-funded advice service received over 4000 wedding related complaints nationally, covering everything from hotels and caterers to jewellers, photographers, florists and travel agents. - Start planning well in advance. A lot of reported problems result from trying to do too much in too short a space of time. - Look at a number of different venues and suppliers to compare costs and levels of service. - Ask for written quotes (rather than just estimates) as these are legally binding. - If you make a decision based on verbal promises, ask to get these in writing. - Before you pay a deposit to a venue, make sure you have read all the terms and conditions and ask about cancellation policies. If you have to pull out and you breach your contract, you won't be automatically entitled to a refund and you could lose a lot of money. - Consider using a credit card for deposits and purchases of between £100 and £30,000 as this could give you extra protection if the contract is breached by the supplier. - When ordering your dress check that fittings and alterations are included in the price. Ensure the correct measurements are written on the order, along with the colour, style and size of the dress. - Book your honeymoon with a travel agent or tour operator who is a member of ABTA so that you are protected if they go out of business. If creating your own holiday of a lifetime be aware that you have different rights. - Think about wedding insurance, but make sure you read the policy to see what's covered and what's excluded.